This article covers version settings and creating and publishing your first map with WP Google Maps (Basic) and WP Google Maps Pro Add-on. This documentation is current for WP Google Maps version 6. To add your Map to a page on your website, you will need to add the Map shortcode to your WordPress Post or Page. To find the Map shortcode, see WordPress Dashboard → Maps. You can copy and paste the shortcode shown to the far right in the list of your Maps on the Post or Page where you want to display your Map. The shortcode framed in red wpgmza id="2" displays the Map with ID “2”. wpgmza id="2" mashup=true mashup_ids="2,3" parent_id="2"
Mashup: Set as true to indicate you that you would like this map to be a mashup. Mashup IDs: Include the IDs of all Maps you want to “mashup” in a comma-separated list. Parent ID: The parent_id identifies the specific map from which the map settings will be drawn for the Map Mashup. In this case, whatever color or size is set for Map ID 2 will be used for the Mashup Map. Suppose you only want to show a certain marker category on your map. You need to make sure that the Category exists and that the Category ID is correct. See WordPress Dashboard → Maps → Categories. 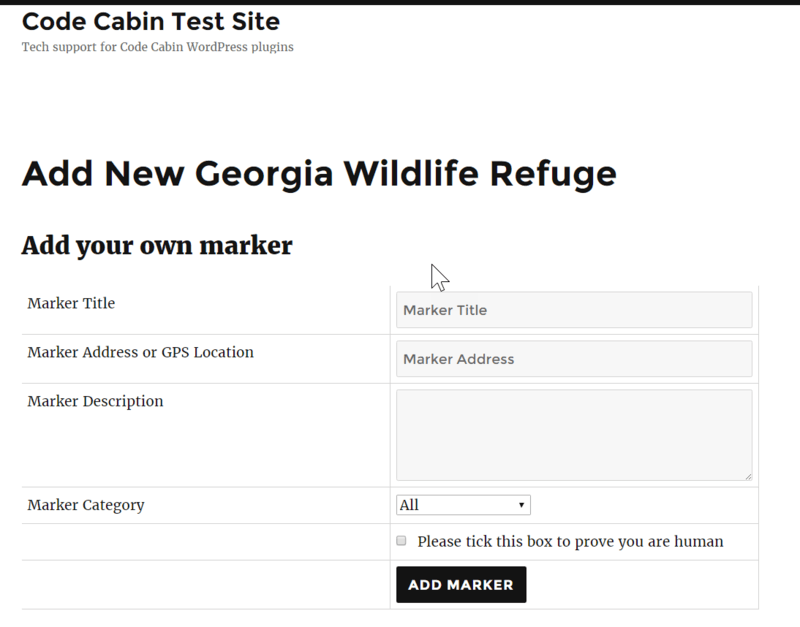 To restrict your map to only the Wildlife Refuges category, add the Category ID (1 in this example above) to your shortcode as follows: wpgmza id="1" cat="1". 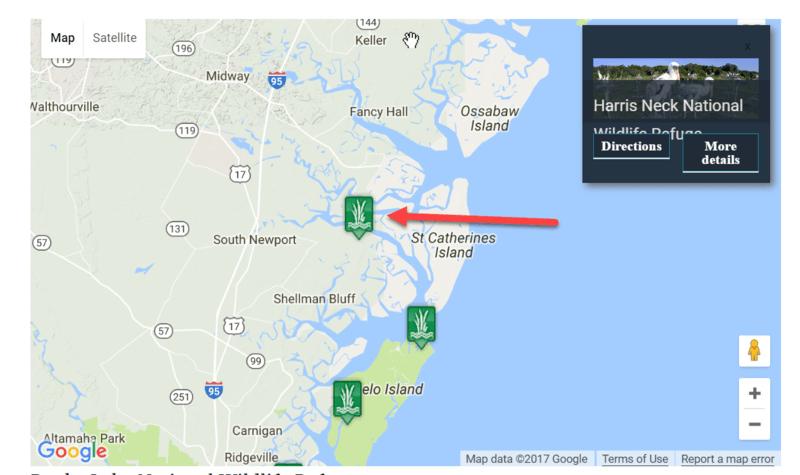 Only the markers that have the Wildlife Refuges category will be displayed on the Map. Accepts the Marker ID (number) you want to reference. You can find the Marker ID in your Marker Listing (Maps → Edit → Scroll down to your Marker Listing). The zoom level you want for the Map. This is a number between 1 and 21. Suppose you”ve enabled directions for a Map using the WP Google Maps Dashboard interface, but need to use the Map without directions on a specific Post or Page. Simply include the enable_directions parameter in your shortcode. enable_directions="1" will enable and enable_directions="0" will disable directions. Suppose you’ve enabled a Category filter for a Map using the WP Google Maps Dashboard interface, but need to use the Map without the filter on a specific Post or Page. Simply include the enable_category parameter in your shortcode. enable_category="1" will enable and enable_category="0" will disable the category filters. If you”ve enabled opening InfoWindow links for a Map in a new tab/window using the WP Google Maps Dashboard interface, but need to change that setting on a specific Post or Page, you can simply include the new_window_link parameter in your shortcode. new_window_link="yes" will enable and new_window_link="no" will disable the link opening in a new window. If you”d like to have your Visitor-Generated Marker form appear on a separate page from your Map, you can use the wpgmza_vgm_form link_to_map="1" shortcode. Please note, however, that his shortcode requires the Visitor Generated Markers Addon. wpgmza_vgm_form link_to_map="Page ID" redirect_to="Page Link"
This article covered Map Shortcode Parameters for the WP Google Maps plugin. If you need further assistance, feel free to post on our Support Forums or visit our Support Desk.